We would like to inform you that ReMake is moving to Autodesk® ReCap™ Photo, our new photo-to-3D service with the capacity to process up to 1,000 photos. ReCap Photo is available immediately through a subscription to ReCap Pro. To learn more about the benefits of ReCap Photo as well as to get access to a special promotional offer see this article. For more info on ReMake and this change see this FAQ article. 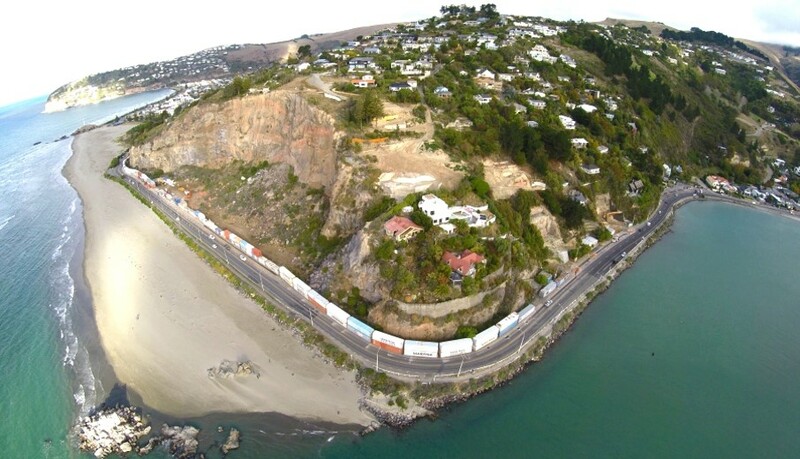 When the 6.3 earthquake hit New Zealand in February 2011, the "Beverly Hills" of Christchurch that was perched on a cliff crumbled into the ocean below. 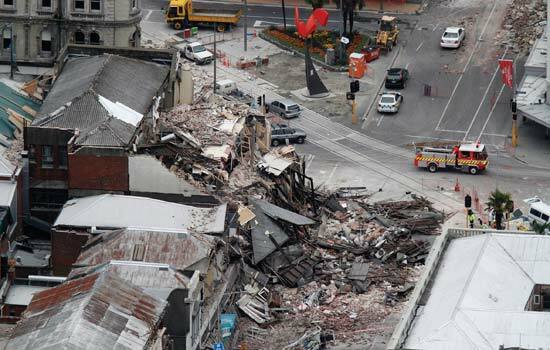 The collapse at Deans Head took with it several houses and threatened many others in the surrounding area. Aurecon, a global consulting, engineering, management, and specialist technical services firm, was tasked with managing the surveying and ensuring the structural integrity of the site. Simon Yorke, Aurecon's advanced design technologist, brought his maverick-like tendencies to the project. His innovative recipe of UAVs, photogrammetry, AR, VR, ReCap, ReMake, 3dsMax, Dynamo, and Stingray not only saved considerable time and money but also improved safety. Using ReMake's mesh models and a Hololens, Yorke was able to present the site to the client and government officials prior to their site visits - identifying critical areas and highlighting the work to date. Watch our interview with Yorke, above, and check out his presentation of this real-life case from AU 2016. Download free trials of Autodesk ReMake and ReCap today. On March 31, 2017, the Mac version of Autodesk ReMake will retire for good. Please note that your ReMake work will not be lost. Simply install Boot Camp by Apple to continue using the Windows version of ReMake on your Mac. You can download the Windows version here. We would like to thank ReMake’s Mac users for your enthusiasm and support. 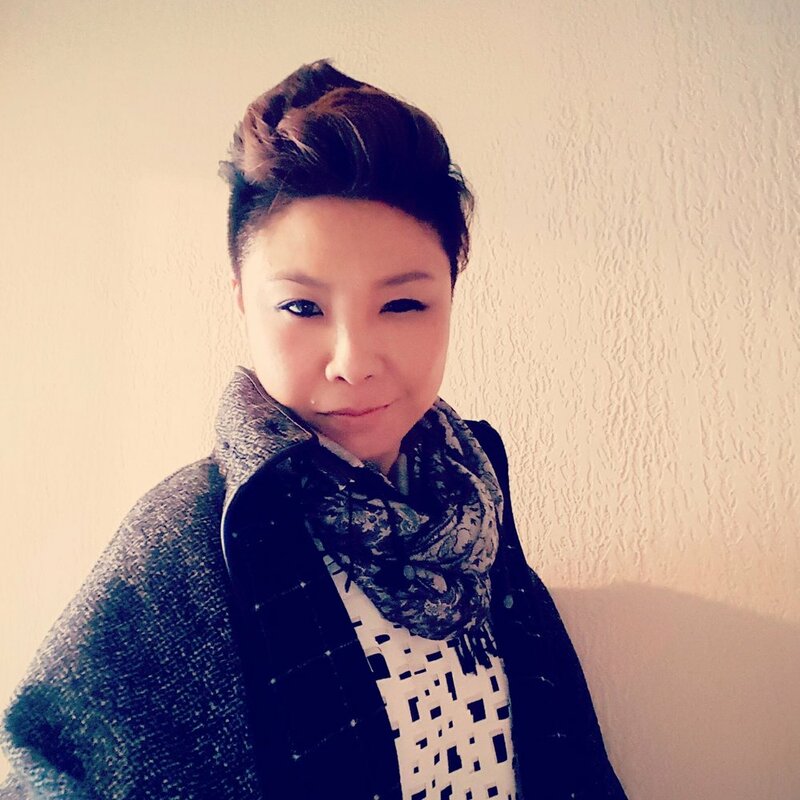 Wendy W Fok, trained as an architect, is the creative director/founder of WE-DESIGNS, LLC (Architecture/Creative Strategy) and Resilient Modular Systems, PBC (Socially Missioned Venture). 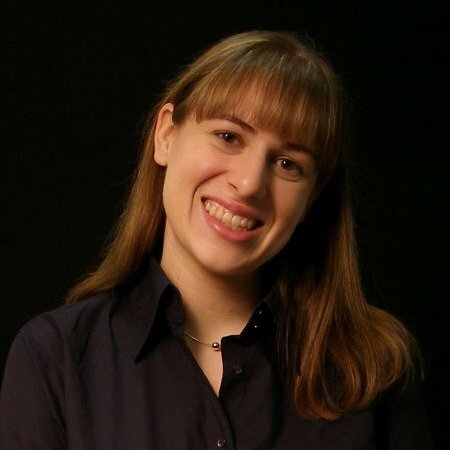 She is featured as Autodesk ReMake’s list of 25 Women in Reality Computing (2017), winner of the Autodesk AiR Fellowship (2016), Young CAADRIA Award (2015), Digital Kluge Fellowship awarded by the Library of Congress (2014/15), the Art Director’s Club of New York’s ADC Young Guns 11 Award (2013), AIA (American Institute of Architects) Dallas “Express Yourself” Women in Architecture Award (2013), and selected designer of the Perspective 40 under 40 Award (2011) and the Hong Kong Young Design Talent Award (2009). Fok has a Master of Architecture and Certification of Urban Policy/Planning from Princeton University, and a Bachelor of Arts in Architecture with a Concentration in Economics (Statistics) from Barnard College, Columbia University. 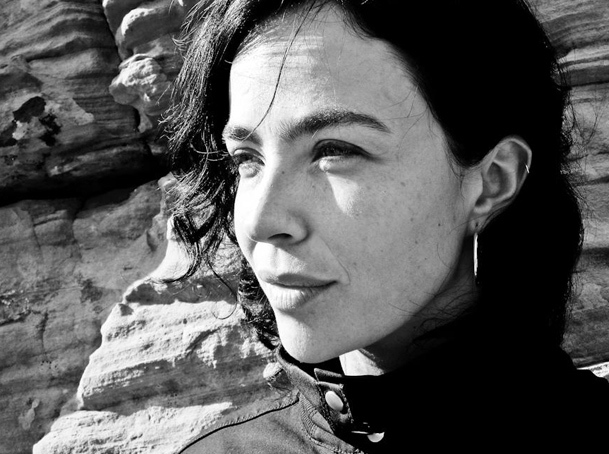 Along with her practice, Fok is an Assistant Professor of Integrated Design at Parsons School of Design Strategies (SDS). 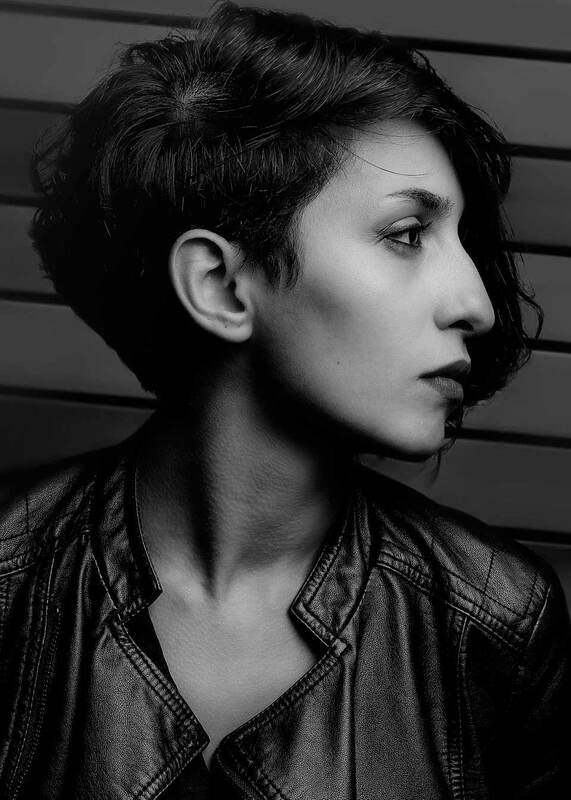 Fok is also a co-faculty member with Prof Jessica Corr and Prof Ketty Maisonrouge on a course supported by the Luxury Education Foundation partnered with the Columbia Business School (Fall 2016), and completing her Doctor of Design (expected 2016) at the Harvard University Graduate School of Design. 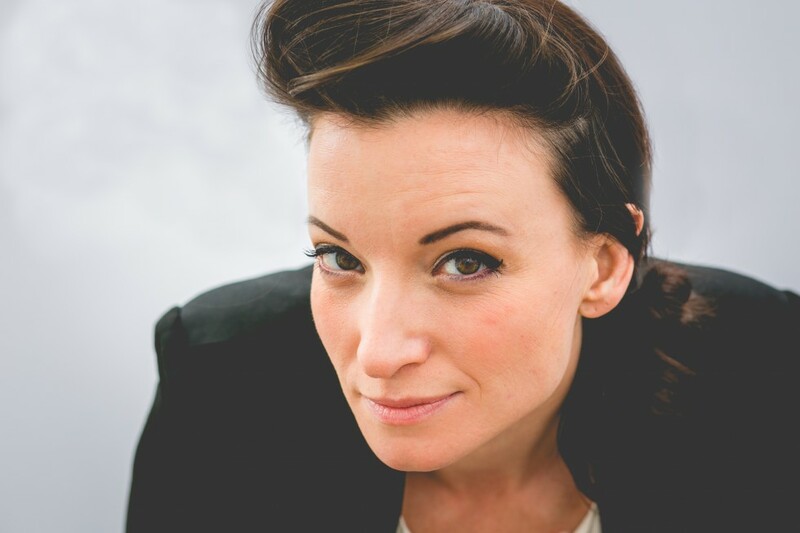 Her doctoral research is an investigative approach between intellectual property issues of ownership / authorship of digital / real property in computational innovation, and ethical / equitable application of technical methods within open innovation, digital fabrication, and commodisation for the built environment. The future of the building industry and practice of architecture will be dominated by the opportunity of product efficiency, limited waste distribution, and onsite pre-fabrication prospects. 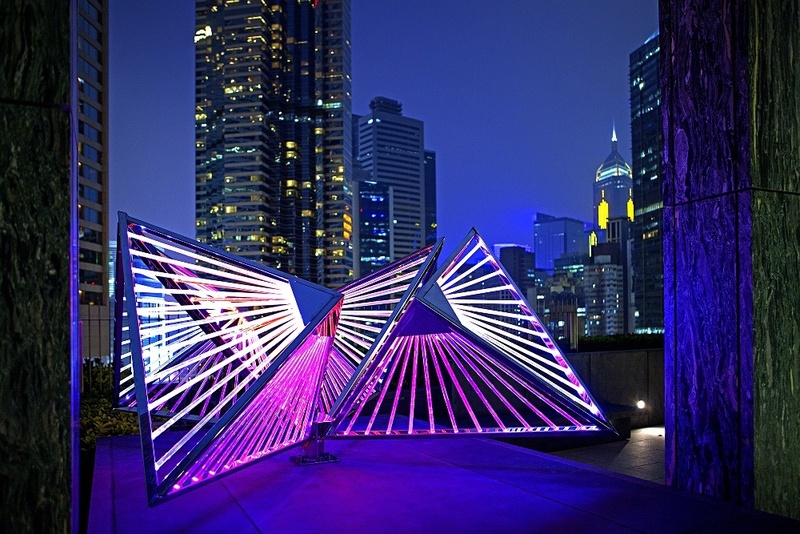 While 3D printers and robotics will arrange optimized chances to make onsite construction more intricate, there are also inefficiencies produced by the technology itself. On the other hand, the automated delivery process, as seen in the advancement of Kuka robots at the Tesla factories contribute to more streamlined product distribution processes. Drones and automation have the prospect to combine the opportunities of fabrication technology and participatory culture, which will only promote the ability for the crowd to establish new means of motivation that will outperform traditional means of building, making, performance, and organization. The “maker movement” was originally coined between 2005 and 2006 by Dale Dougherty, founder of MAKE magazine and the do-it-yourself (DIY) Maker Faire. Then, Dale co-founded O'Reilly Media, a technical publisher and conference organizer known for its advocacy of Open Source and the Web. In 2006, the technology publisher pushed the envelope of the appreciation of garage projects through “celebrating the right to tweak, hack and bend any technology to your own will” (TED, 2015), by establishing the Maker Faire series, which has now evolved into an international empire of the makers and has become a global network. Chris Anderson, editor of Wired magazine, on the other hand, defines “makers” as a means of the new industrial revolution, which differs from the imprecise MIT Media lab understanding of the terminology by revolutionizing the tangible world through bits and atoms, and a various means of collaboration. As more designers and architects push the envelope to become creators beyond the traditional single patron “maker model” of being conventional crafts wo/men, and into the digital age, we will see relevant technological changes implemented into the AEC industry by cloud systems, online structures, and collaborative platforms. These same technologies are already seen emerging in the present business models of Autodesk, Dassault Systèmes, Adobe, and various headlining building innovation CAD software companies. (L-R) Francis Bitonti, Wendy W Fok, Eyal Gever, Behnaz Farahi, Amy Karle, Lionel T Dean at REAL 2016. Starting with 1971 Design Participation Conference by Nigel Cross, through to the House_N by Kent Larson of the MIT Media Lab and the Open Source Building Alliance (OSBA), the WikiHouse prototype, Open Architecture Network, up to the most recent Smart Parameter Platform developed by UNStudio, this article will collate a few projects that set precedent to the basis of how architectural distribution promotes thought-leadership, cultural distribution, online platforms, and open processes in both the physical and digital worlds for the built environment. Most contemporary forms of public and civic engagement and policy planning for the built environment is based on data that is derived from its citizens. Whether this data is a source of statistical account of financial orders, construction dollars spent, or the production values based on the annual import and export of the regular agricultural means of a GDP (gross domestic product) or GSP (gross state product). Data, however, in the world of the digital citizenship, offers a curious undertaking of source. Big Data on the other hand, is the science behind a large part of aggregation complex, both structure and unstructured forms of traditional data processing, which usually challenges the analytical, search, storage, transfer, sharing, capture, visualization, and information privacy, all grounded within the digital archives. While most Big Data discussions surround issues of online privacy, and data accessibility, usually to the concerns of how much data is accessible to the NSA and various other governmental institutions, a large part of the same unstructured data formats, are useful for the algorithmic regulation of how cities are planned, based on the aggregated data. The future of open innovation and data distribution of construction and architecture requires a larger awareness of how to properly impose legislature that compliments the building industry. Architects and real estate developers will need to work together in getting themselves better acquainted with the technological advancements within the technology sector, and more important work with policy to build a better guided understanding of how designers and builders could collaborate in an open forum. The dissected sectors and often misunderstood factors between industry technologies (or, resistance between the real estate industry to embrace newer technologies) and trades (skepticism within the construction industry to use digital fabrication or higher technological automation) can hinder and stunt the future dialogue between computational designers and architects, with the rest of the building field, and possibly the future of the urban built environment. It is always difficult to predict the future of automation and the possibilities and hindrance innovation could deliver, however, it is clear that the cooperation and collaborative natures between the fields are what will be bringing the future of our built environment. How would reality capture engage the future of the practice? And,what role will it play in the future of design automation? David Rotman, recently wrote for the MIT Technology Review that “(t)he economic anxiety over AI and automation is real and shouldn’t be dismissed. But there is no reversing technological progress.” Agreeing with that statement, the concerns are not to dismiss the inevitable advancement of technology, and innovative practices and inventions of automation that surpass the developmental nature of the human race, but how to better integrate the discussion of robotics and artificial intelligence within the practice of our everyday lives. The chasm between “innovative practices” (such as the recent list by Fast Company on the top 50 most innovative companies, launched on the 13th of February 2017), and “traditional practices” (such as blue chip companies), or more realistically companies which do not have the “access”, or “budget”, or “knowledge” of influencers who have the “reach” into the technologies becomes the largest problem within integration. Practices, whether traditional, emerging, or innovative, should be looking closer to how to better involve everyday users within their companies to engage in the dialogue of technological advancement that uses reality capture within their role of the company. We do not need to live in a post capitalism world without work, and neither would that promote the ethics of developing innovative tasks, when people are out of study and use of their daily muscles, physical or brain. Whether it is a fashion company that is devising new forms and fabrication through manufacturing techniques, using traditional craft from French houses, or innovative 3D printing that is part of the wearables trend that uses automation into their designs; or, larger corporations that are trending and bloating on driverless technical advancements. It is the companies, and the responsibility of the individuals within the companies, who should be obligated to develop a better language to train their workers to integrate, to think with their tools, work with their technologies every day, and then apply their skill sets to their daily palette – this is the only option for the future of work, and the future of automation, to not have humans left out of the equation. If You Like Pina Coladas...Design Furniture! Sergio Ferrero Gil's students in the Introduction to Parametric Design course at the Escuela de Arte y Superior de Diseño (EASD) de Valencia, Spain, have the best homework. Their assignment is to design a public project inspired by an organic shape, and modeled using Autodesk ReMake and Autodesk 123D. Students Alejandro and Bea created patio lighting from three stacked stones and photogrammetry. To design a sensuous bus stop, students Lorena and Selena modeled a tree branch. Don't believe it? Check out their designs below. What projects are you working on with your students? How did you learn about ReMake? In our School of Arts (EASD - Escuela de Arte y Superior de Diseño) in Valencia we use educational licenses of Autodesk's products. That's the reason why professors have to be updated about all its products and all its new updates. En nuestro centro, la Escuela de Arte y Superior de Diseño de Valencia, somos usuarios de licencias educacionales de productos de Autodesk, por lo que los profesores solemos "estar al día" de todos sus productos y sobre todo, sus novedades. Why did you decide to use it with your students? Principalmente por su potencia y fiabilidad en la generación de la malla final en comparación a otros softwares. Su entorno es muy sencillo y útil de usar, por lo que el alumno enseguida consigue resultados fiables. The benefits of using it are clear, because it lets the students create the mesh of a real object directly as a source of inspiration to create an object or a design. Los beneficios son claros, pues permite al alumno generar la malla con un objeto real complejo, como primer paso para poder trabajar sobre él, ya sea directamente o como fuente de inspiración para realizar otro objeto o diseño. Do you think it is important to continue to develop technology in this area, and why? Yes, I think it is important and necessary. These three-dimensional scanning processes are increasingly linked to those of digital production and manufacturing. Si, creo que es importante y necesario, cada vez más se vinculan estos procesos de escaneado tridimensional a los de producción y fabricación digital. What would you like to see from this technology in the future? Would you recommend any improvements? There is an aspect that I think can simplify the scanning process of objects, and it is to create it directly through a video. Many times, the mesh does not work when some of the pictures are unfocused, or when an insufficient overlap is produced (it occurs on many occasions). If the capture process is created with a video, this type of problem could be avoided and it would erase the production time of wrong meshes. Existe un aspecto que pienso que puede simplificar el proceso de escaneado de objetos y es el realizarlo directamente a través de un vídeo. Es decir, en muchas ocasiones, la malla falla cuando algunas de las fotografías realizadas están desenfocadas, o se producen con un solape insuficiente (que en muchas ocasiones sucede). Si el proceso de captura se realizara con un vídeo, esto evitaría este tipo de problemas y por tanto anularía tiempos de producción de mallas erróneas. Download a free trial of Autodesk ReMake. The era of “big data” has fostered the need for new approaches to analysis and representation in all fields of design. The ability to capture, record and simulate increasingly larger sets of data coupled with remote access to cloud computing and increasingly more affordable additive fabrication technology provides new opportunities and methods for understanding and assessing complexity and representation in architecture. Andrew Saunders, an Associate Professor at the PennDesign Department of Architecture, spent six weeks in Italy laser scanning and amassing an archive of some of the most important examples of Italian Baroque architecture. The resulting archive includes key works from Francesco Borromini, Gian Lorenzo Bernini, Girolamo and Carlo Rainaldi, Pietro da Cortona, Guarino Guarini and Bernardo Vittone. The motivations (beyond archival and preservation purposes) were to find better methods to explore and teach formally highly complex baroque architecture (Phase 1) with the idea of continuing and using computational methods to reverse engineer the "algorithms" behind the baroque architecture (Phase 2). 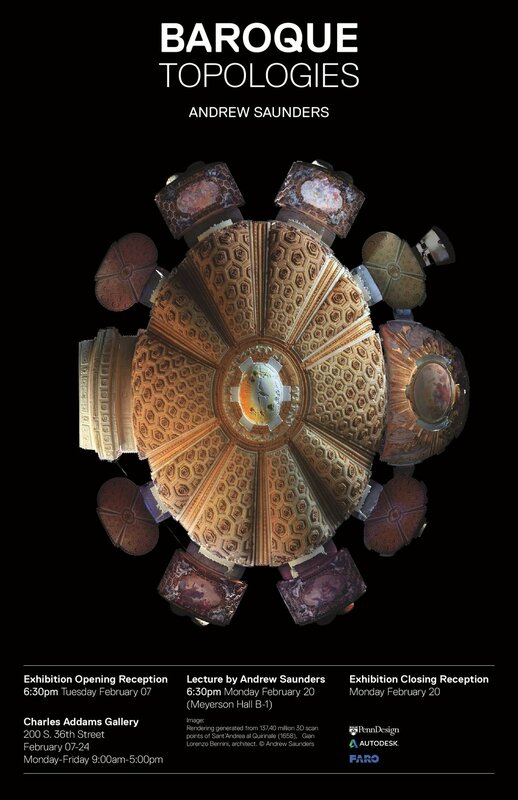 The Baroque Topologies lecture and parallel exhibition explore the convergence of “big data” and Baroque architecture in an innovative approach to reality capture and heritage preservation. Autodesk ReMake, ReCap, and 3ds Max are proud to be collaborating partners of the Baroque Topologies project. Autodesk contributed tools, technical expertise, producing the high resolution 3D prints and advising on the exhibit at the Charles Addams Fine Arts Gallery at the University of Pennsylvania, which runs from February 7-20, 2017. We caught up with Saunders to learn more about his work. What is the Baroque Topologies project? Existing representation and documentation of Italian Baroque Architecture are inadequate for precise perception, representation and analysis of the full three-dimensional multiplicity deep-rooted in the work. Current surveying tools including laser scanning, photogrammetry and digital imaging allow the capture of high resolution and precisely measured three-dimensional data sets previously unobtainable. Along with capturing, recording and simulating data sets of unprecedented resolution and precision Baroque Topologies seeks to develop novel techniques and methods for understanding and assessing complexity and representation of Italian Baroque Architecture. Inherent in the process is a reexamination of the value-laden tools of contemporary representation and their impact on current architectural production. 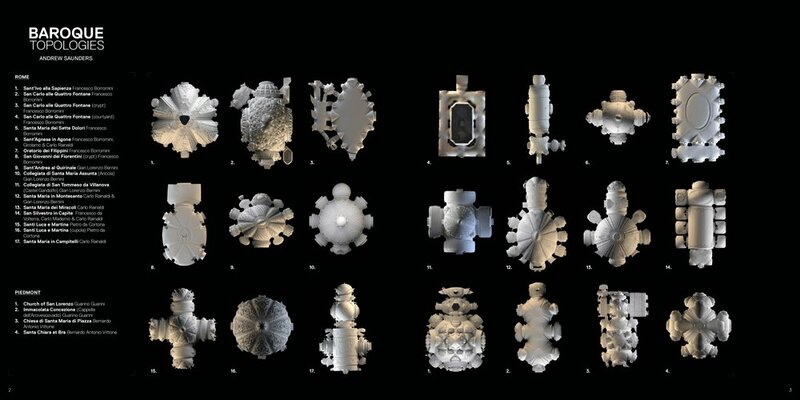 Teaching contemporary approaches to Baroque analysis at PennDesign has revealed that existing representation and documentation of the built work are inadequate for reconstruction, representation and analysis of the full three-dimensional multiplicity inherent in the work. Baroque Architecture is highly complex formally. Plasticity of form and obsessive detail are intentionally deployed to blur the threshold between painting, sculpture, architecture and urbanism. Current surveying tools including laser scanning, photogrammetry and digital imaging allow the capture of high resolution and precisely measured three-dimensional data sets previously unobtainable. With all of the at-risk architecture to study, why is Baroque architecture appealing to you? The term “Baroque” is the subject of many debates ranging from its etymological origin, disputes on the emergences of an aesthetic “style” in Rome, Italy post Council of Trent (1545-1563) and the more broad and recent application of the term as a recursive philosophical concept suggested by Gilles Deleuze to “Fold” through time. The distinctly Baroque desire for obsessive detail, sensuality, distortion and passion are born in Rome, Italy under the sponsorship of the Catholic Church and the Counter-Reformation. Although illusive and dynamic, Baroque architecture is associated with very specific formal characteristics, effects and architectural consequences all embodied in brick and stone through rigorous understanding and disciplined mastery of the geometry and mathematics. Tell us about the capture process. What equipment and technology did you use? FARO 3D Measurement Technology supported the project by providing a FARO Laser Scanner Focus3D X 130, proprietary software and training for scanning Baroque Architecture. The high resolution, portable scanner has a one-million-points per second scanning rate and a range of 130 meters. The Baroque work was scanned completely to produce a definitive as-built detailed digital model of the work. High resolution scans of the most important Baroque Architecture in Italy allows verification, calibration and discovery of Baroque topologies. Why was it important to you to 3D print the models? The 3D printed models are not models of the churches, but solid models of the interior space. The space is now printed as an object. This aspect of the research can be understood as a contemporary extension of the research of Luigi Moretti Structures and Sequences of Space (1953) where he cast streamline white plaster models of unbuilt Gaurini projects from Architettura Civile. As contemporary update, the figural models of the space are more precise and articulated in full color. As a contrast to the original solid white plaster casts of Moretti, the models of the interior space of the churches are 3D printed in solid photopolymer resin. The result is a translucent solid that when lit exposes the depth of the space and the high-resolution scan data of detailed articulation. How did reality capture software assist you in your work? Both ReMake and ReCap were essential to the project. The ability to use Autodesk cloud computing to generate high resolution meshes from the millions of points was a key part of the process that simply would not have been possible with desktop computing. After generating the meshes, some as a large as 90gigabites, the architecture of ReMake allowed for easy access and modification. The mesh size alone made these processes too cumbersome or impossible in other modeling programs. 3D laser scanning generates extremely large data sets. Many industries are using these technologies more frequently and they are becoming critical for surveying. Autodesk ReCap and ReMake are clearly designed to address the gap in current modeling software to work with “big data” with a greater digital agility. How did you use Autodesk 3ds Max in the project? 3ds Max was used to to visualize meshes from ReMake and point clouds from ReCap. Along with the ability to handle and manipulate the large data sets from laser scanning, there is a big gap in the software market to tools for the representation of the data. The ability to reference point clouds in Max allowed us to take advantage of the Mental Ray rendering engine and all of the more sophisticated tools for visualization of 3ds Max. The project produced many challenges at every stage from gaining access to scan the most critical baroque churches in Italy to the slow birth of processing and representing the data for exhibition. The project would not have been possible without key contributions from extraordinary Italian contacts, support from FARO and collaboration with Autodesk. The project is unprecedented in many ways. The churches scanned are some of the most well-known baroque works in the world. Through the use of new instruments and software, the project reveals the projects in a way that has never been presented before. Even though most people know the work, they have never seen the work through this lens, offering a unique reassessment of both Baroque architecture and the value laden tools of new technology and representation. There is still plenty of work to be done with the unprecedented archive of 3D scanned baroque work. For the project, we would like to use the data for more in depth comparative analysis between the churches. In addition, formal analysis has a long tradition in architectural discourse. This spring marks the first time I have been able to use the scan data in my Baroque seminar at PennDesign. I am looking forward to working with the extremely talented and enthusiastic students at PennDesign to see how they use the new technology to write a new chapter in the way architects study, reassess and reinterpret the past. The next phase of the project will involve working with Autodesk to make the scan data available to the public and any other students and scholars who are interested in the baroque. This too is unprecedented and involves developing a novel interface and archival approach. Download a free trial of Autodesk ReMake, Autodesk ReCap, or Autodesk 3ds Max here. 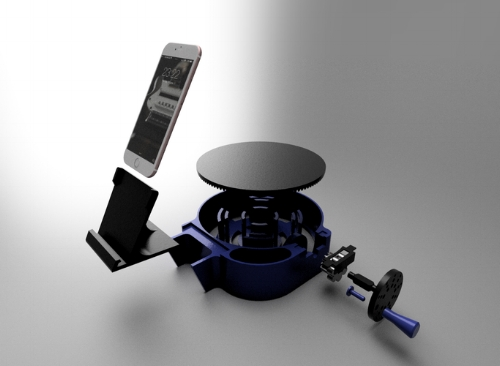 Autodesk ReMake and Autodesk Fusion 360 held the #DesignByCapture competition with 3D printing powerhouse My Mini Factory. In Stage 1, entrants were asked to scan a piece of equipment from their favorite hobby (a hiking boot, DJ headphones, video game accessory, etc) using photogrammetry and 3D model it using Autodesk ReMake software. Then, in Stage 2, that model was plugged into Autodesk Fusion 360 where the object was customized to the user's specs. The first place winner was Dr. Melanie Tang's drill bit holder, and the second place winner was Jonathan Spoerke's super cool guitar attachment. Read more about Melanie's story below. Tell us about yourself. How did you become interested in design? In 3D modeling and printing? I am a dentist by trade but I was always good with computers and had an interest in arts. As a hobby I enjoyed sculpting and painting. Eventually I took interest in sculpting digitally and one day decided to 3D print some of my sculptures. I then started playing around with more functional prints and studied the principles of designing for 3D printing, such as tolerances for press/loose fits, overhang angles, joining techniques, print materials, and post-processing (sanding, painting, etc.). What kind/s of hardware do you use? At home I have now an Ultimaker 2+. I normally print with PLA, which by the way bonds amazingly well with SCIGRIP 4SC (formerly Weld-ON 4SC). Tell me about the drill bit. What inspired you to create it? I use very basic tools at home for small projects or simple renovations. One of my pet peeves was going back to my toolbox to find the right bit, or dropping them everywhere and searching all over the floor for them. I have always had an idea to make a bit holder for my cordless drill, but it was a daunting task to get right. The shape of the drill was just too complex to work out with manual measurements. The 3D scanning available using ReMake was a clear solution to the shape complexity issue that made the design possible. Had you used ReMake or Fusion before? I have been using Fusion 360 since I got my 3D printer. I chose Fusion 360 because it was free for hobby usage and full-featured. ReMake was entirely new to me, but I enjoy learning new software, so I was up for the challenge. Did you run into any challenges during the Design By Capture competition? There were several challenges I faced in preparing the competition entry. The first was obtaining a clean scan of the drill. I first tried the method of rotating the drill in place with a stationary camera, but the results were not great. My next attempt was to move the camera around the drill, which produced shockingly amazing results. I also faced challenges in importing the model into Fusion 360. If the model had too many faces, then the performance in Fusion 360 would suffer. 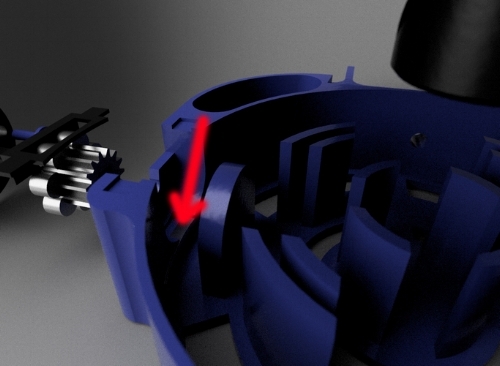 As a solution, I cropped the model to the head of the drill only, so that I was not wasting faces on parts of the drill I would not need for the design. That provided a good compromise. What did you like about the competition? I really liked devising the idea, producing the scan, designing the mount, and then bringing it to life with a 3D print. It is satisfying to hold a useful thing you made from concept to production all by yourself. What did you like about using ReMake and/or Fusion? ReMake is incredible - I can't say enough about it. It does what I thought was impossible - making a high quality 3D model of a real-world object without the benefit of an expensive 3D scanner. How do you plan to use ReMake and Fusion next? What are your ideas? I haven't thought ahead to my next project, but if it involves interfacing with a real-world object, you can be sure that I will be using ReMake to make a 3D model. Download Melanie's ready-to-3D-print drill bit attachment model here. Autodesk ReMake is available for both Mac and Windows. Download a free trial at remake.autodesk.com. Autodesk ReMake and Autodesk Fusion 360 held the #DesignByCapture competition with 3D printing powerhouse My Mini Factory. 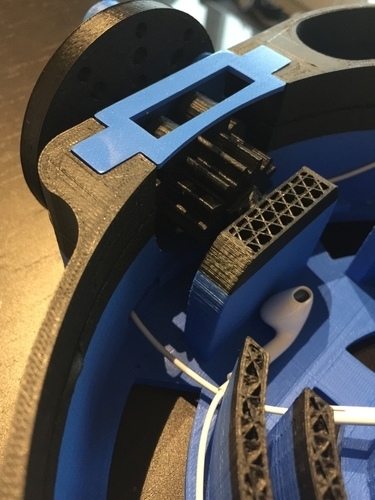 In Stage 1, entrants were asked to scan a piece of equipment from their favorite hobby (a hiking boot, DJ headphones, video game accessory, etc) using photogrammetry and 3D model it using Autodesk ReMake software. Then, in Stage 2, that model was plugged into Autodesk Fusion 360 where the object was customized to the user's specs. The first place winner was Dr. Melanie Tang's drill bit holder, and the second place winner was Jonathan Spoerke's super cool guitar attachment. Read more about Jonathan's story below. The first time I heard the term "Industrial Design" was in college. I was finishing up my undergrad in mechanical engineering at Georgia Tech and interning at Kids II, a local infant products company. I always had a passion for "making things" but I never realized that there was an entire group of people responsible for designed and created products (I thought was what engineers did). After graduation I started working on my masters in industrial design and loved it; especially concept development and prototyping. After grad school I started designing footwear and taught myself surface modeling in Rhino for my job. I was also really into cosplay so when hobbyist 3D printers became a (somewhat) affordable thing a few years ago I started designing and printing my own props in my spare time. I have Surface Pro 3 that I use as my primary computer. My 3D printer is a Frankenstein of a Makerbot 2. I say that because while I love it dearly, it has very few, if any, of its original parts. I also recommend having a good IPA nearby, I know that's not technically 3D modeling hardware but it’s never made 3D modeling less enjoyable. And Netflix running on my second monitor. 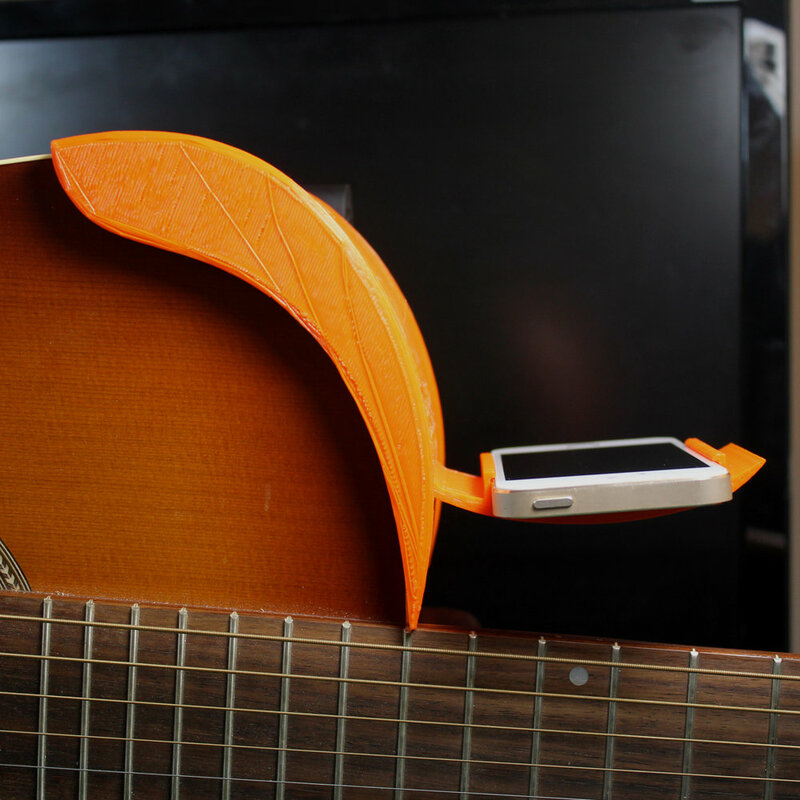 Tell me about the guitar mount. What inspired you to create it? 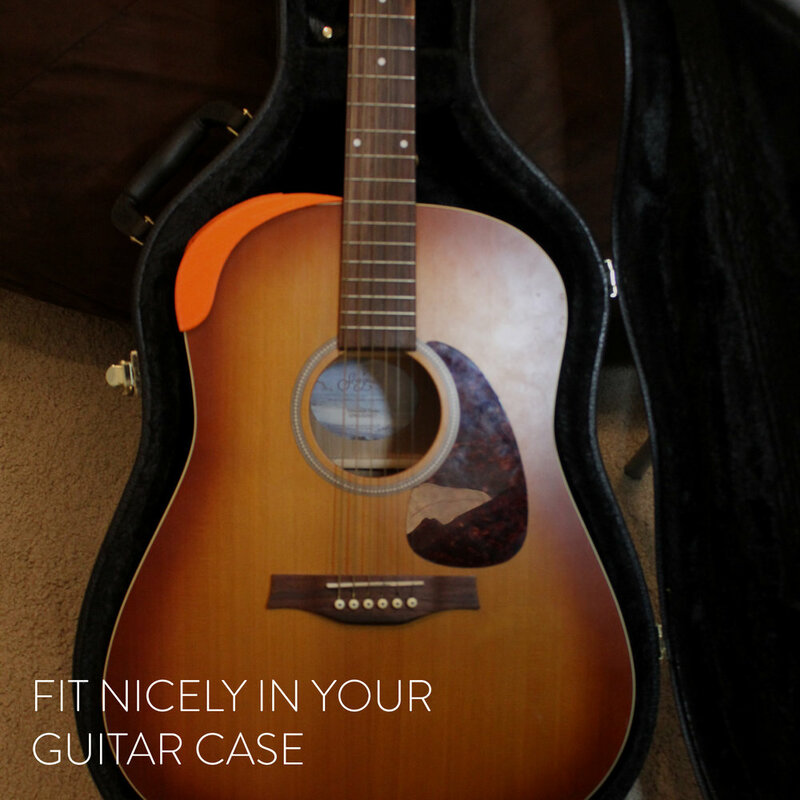 The guitar mount idea came about during my ongoing struggle to teach myself to play guitar. 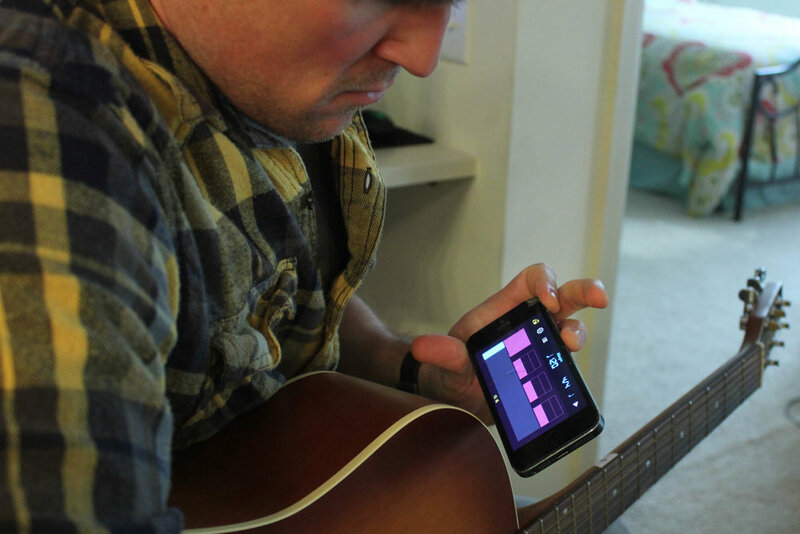 A few weeks ago I found a Guitar Hero style tutorial app and 20 minutes later found myself in this horrible bent over posture trying to simultaneously play the guitar and see the phone that was lying on the coffee table. I was throwing around a few ideas in my head for this competition but when I woke up still sore I decided this idea was worth exploring. I sketched out a few different designs on paper but I did most of the iterative development to make it "work" on the computer. Once I had the guitar scan imported, I was able modify the sketches for the mount and test out different configurations. I played around with 123D Catch and Design about a year ago but this is the first time I've used ReMake and Fusion. Did you run into any challenges during the competition? I switch back and forth between parametric modeling and surface modeling but have been using surface modeling for my past few projects. This design had some moving parts and I wanted to build the model in Fusion parametrically so the biggest challenge I ran into was shifting my brain back into that style of thinking/ modeling. It’s funny, in design school they teach you the importance of thinking outside of yourself but I liked the challenge of "designing something for yourself" because quite honestly, when you're not on a student's budget, it's really easy to just buy stuff. It's hard to identify an unmet need when you can solve most of your problems with Amazon Prime. 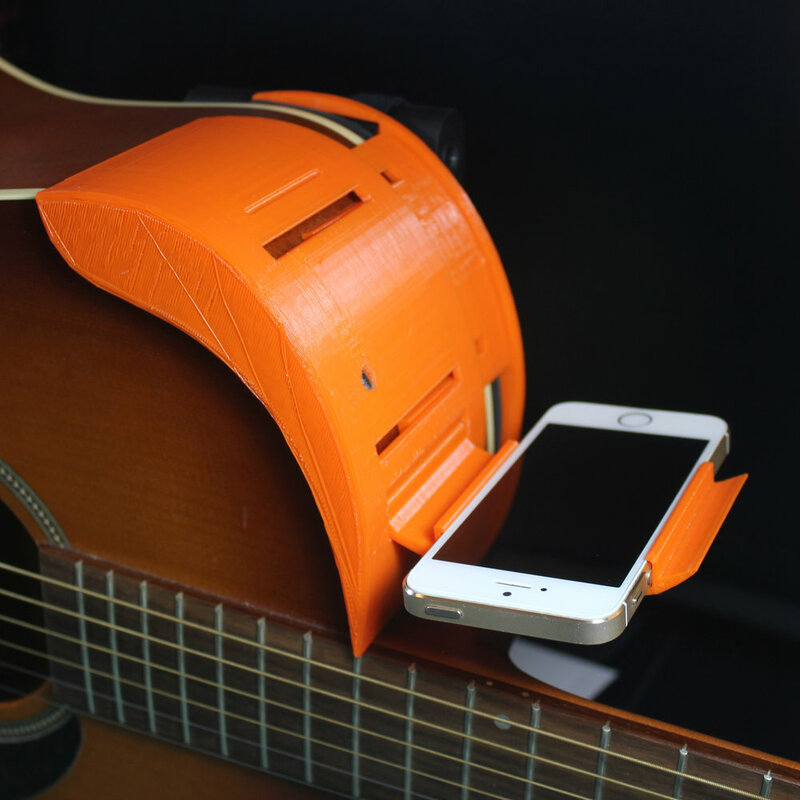 It's a great challenge to get out of the mind set of comparison shopping between products that are "OK" and into the mindset that you have the tools to design "the perfect" guitar mount, laptop bag, cellphone case, etc. I also really like that challenge required the use of some new software. It's easy to get into a groove with the software you use all the time and you don't realize all the new and powerful stuff that is coming out. I was really impressed with mesh editing and simplification tools in Remake, raw 3D scan data is typically pretty messy and this is the first program that I've used that quickly and easily gets the mesh to point where its usable. I'm excited about Fusion because I feel like it gives you a solid, straight forward set of parametric and surface modeling tools to work with and just make things. In my other CAD programs the 80/20 rule definitely applies; I use 20% of the tools 80% of the time and the Fusion interface puts those tools front and center. I feel like I've only scratched the surface but I'm excited to keep exploring. I've never used a 3D scanner that could do room scale so I'm going to use ReMake to scan my mannequin to use for some cosplay armor CAD. I'm planning on spending more time with Fusion and I'd like to start making cosplay CAD tutorial videos with it. About a year ago I set out to start teaching people 3D modeling online but couldn't find a solid, full featured CAD program that I felt like hobbyist could get their hands (in fact I cautioned people not to learn CAD by using most of the free software out there because I felt like it would do more harm than good). I feel like Fusion gives hobbyists a professional CAD package that's actually affordable. 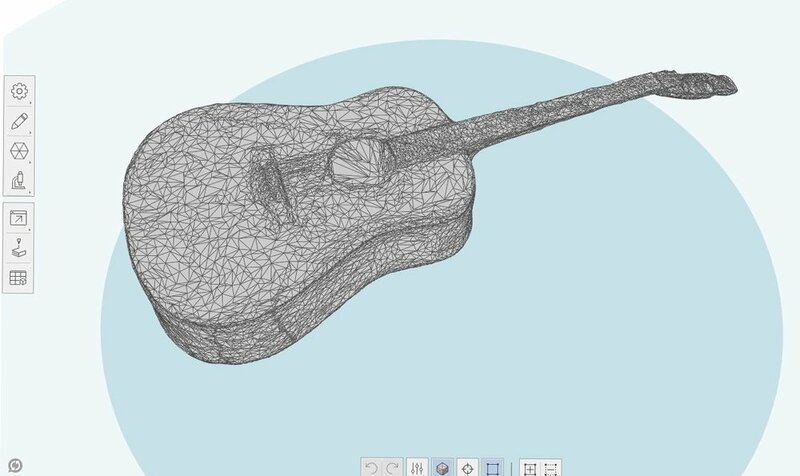 Download Jonathan's ready-to-3D-print guitar attachment model here. Autodesk ReMake is available for both Mac and Windows. Download a free trial at remake.autodesk.com. Here we highlight achievements and underscore the influence of women trailblazing along the Reality Computing continuum. Click on and hover over the images to learn more about these groundbreaking women. Learn more about the world of Reality Computing on our playlist from REAL 2016 and at www.realitycomputing.com. Autodesk ReMake is available for both Mac and Windows. Download a free trial at remake.autodesk.com. Here we talk to Dr. Valerio Rizzo, PhD, Lecturer and Researcher of Neurophysiology at University of Palermo (UNIPA), Photogrammetry Expert at Realities.io. 1) Your work is very unique. Please talk about your background and what you do. I am a neuroscience researcher, lecturer and contract Professor of Human Physiology for the School of Medicine and Surgery at University of Palermo (Italy) and I have 7 years of experience as a 3D expert and freelance scientific illustrator. My education has always had a predominantly scientific marking and the further specialization in the biomedical field has always gone along with a constant study of the most advanced digital techniques for representing subjects and concepts related to biology and medicine. Our brain is greatly engaged by visual inputs and, in fact, most of learning process mainly relapse on this sense. Visual inputs are fundamental for biomedical subjects learning and / or teaching. That is why, from Leonardo da Vinci to Jan Steven van Calcar, from Max Brodel to Frank Netter, the art of illustration has been considered essential for biomedical study. Photogrammetrical 3D reconstruction of Anatomical Speciemens video playlist by Dr. Valerio Rizzo. 2) How do you use reality capture technology in your work? One of the most fundamental disciplines in medical education is the Human Anatomy. One of the most difficult aspects in the study of this discipline is learning human anatomy solely through books. While 2D medical illustrations are rich in details, an extraordinary effort is required to figure out how these small structures can appear from a slightly different point of view. Hence, medical students need to explore specimens in the real world. However, to date, several medical schools (in Italy as elsewhere in the world) lack cadavers for research, as well as funding for the costs of storage and maintenance. Although the University of Palermo owns a collection of anatomical specimens, the presence of a large number of students committed in the study of human anatomy made logistically difficult accessing the anatomical pieces included in the collection, and, furthermore, constantly handling those pieces accelerates their process of deterioration, resulting in expenses due to the restoration of the pieces or their replacement. From all this came the idea to create digital copies of the specimens of human anatomy collection of my university. The goal was to obtain virtual replicates of several specimen with such a quality of detail to be able to substitute the real ones. The idea was greeted with enthusiasm by Prof. Francesco Cappello, teacher of the Human Anatomy course of and therefore he made available some of skeletal specimens of the institute's collection. Using classic methods of 3D medical imaging, such as MRI and CAT, would have been very costly, as well as involve extremely long acquisition times, not to mention the physical risks associated with the use of dedicated equipment. Then, I thought of resurrecting an older method that is applied extensively in architecture but also in certain areas of medicine: 3D photogrammetry. 3) What impact does it make or how does it affect your workflow? Thanks to 3D reality capture, students have been able to explore anatomical parts as never before. For example, students can easily visualize structures that weren’t easily seen, because they are too small to be seen with the naked eye. With reality capture, students can have access to these specimens at any time and everywhere they are, in the classroom or from their house without leaving the desk. These 3D reproductions can be used as a digital rendering or animation or a real-world model that students can handle and move. This technology can also help cut through the language and translate things visually so that a full understanding can be immediately achieved with less efforts. Autodesk ReMake Tip - Mesh Models Difference Analysis using Dr. Valerio Rizzo's work. 4) How were you initially introduced to ReMake? When I started the project to create digital replicas of anatomical pieces, the software available for photo-to-3D reconstructions did not give me the results I expected. Very often the reconstruction process was tedious, and different software was required to process it and eventually the reproductions lacked the equivalent detail of the original specimen. Being a fan of Autodesk products, I have been actively involved in the beta-testing Autodesk platform for years. That gave me the chance to come across a project named Memento, now known as ReMake. Even in its early stages, its potential and the extent of its possible applications were already appreciable, so I decided to start the beta-testing. I remember the first anatomical part I tested with ReMake was a lumbar vertebra. I wanted to try it on a simple and not too small shape. I started the reconstruction on the cloud and after a while I got the result. When I opened the file I was immediately struck by the accuracy in the reproduction of form and texture, but what ReMake was really able to do was beyond my expectations. By disabling texture I was able to appreciate the real detail of geometry. It was amazing, ReMake was able to reconstruct details of the fourth in the order of a millimeter with absolute fidelity. Bone matrix, very small signs of erosive degeneration, every spur or sulci were perfectly reproduced and distinguishable. 2) Obtain a very high-res 3D reproduction of that bone, at that time not available anywhere, and with a level of detail never achieved even using cutting-edge medical imaging. Once again the outcome was stunning, the model showed details up to 80 um2. 5) Why do you like it? Since its first build ReMake has had a minimalist design and an intuitive interface coupled with a highly advanced software technology. These three characteristics literally made me fall in love. During development, the team has been implementing several tools increasing the possibilities of use nevertheless maintaining an essential design as well as increasing functionality without reducing the ease of use. Last but not least, it allows you to face an entire workflow and without requiring additional software, significantly reducing time and costs for the development of a given project. Finally, ReMake’s simplicity of use and the intuitiveness of its interface allows an almost immediate approach even for non-professionals, therefore increasing its putative employment in other professional fields where operators could not be expert in reality capturing. 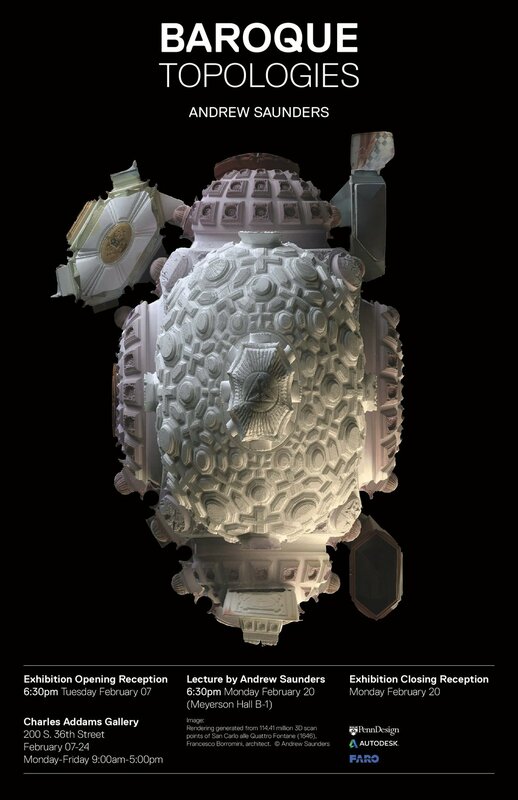 Autodesk ReMake Tip - How to Decimate Models using Dr. Valerio Rizzo's models. 6) How do you use it? I must say I use ReMake for a variety of things. From strictly professional purposes to personal hobbies. As already discussed above, the first approach was initially professional, but not just for education, as in the case of the study of anatomy. I began to apply it in my research in neurophysiology. In the laboratory of sensorineural pathophysiology led by Prof. Giuseppe Ferraro and Pierangelo Sardo at the department of Biomedicine and Clinical Neuroscience of the University of Palermo, I used ReMake to create digital copies of real objects that were used for preliminary studies, conducted with the colleague Dr. Girolamo Schiera, about electroencephalographic correlates of virtual haptic exploration. Furthermore, I found myself using ReMake even for strictly personal or recreational reasons. Often during my leisure travel, I like to store digital 3D memories of statues, façades of historical buildings or parts of environments that have impressed me or where I have spent pleasant moments. I use it to create digital portraits, and thanks to the possibility of optimizing and exporting for 3D printing, has also added the ability to create small souvenirs or gadgets that turn into gifts for friends and relatives. 7) Tell me about some of your favorite or successful projects using reality capture. One of the projects that has seen me more involved and where I made extensive use of ReMake was the recovery and digital preservation of the Museum of Pathological Anatomy at the Università of Palermo. Since the foundation of the University of Palermo in 1805, the Faculty of Medicine has been one of the most productive centers of anatomical and pathological studies, among those made by Giuseppe Gorgone and his students and successors. The Department of Pathology today has one of the richest archives of anatomical specimens in the region and perhaps even nation. This archive is not just historical legacy and the memory of so many distinguished scholars, but it represents an important resource for educational purposes and a potential source of wealth if used in the context of new technologies. Unfortunately, independently from the methods used to preserve these specimens, a progressive, even if small, corruption of organic material occurs thus reducing the intrinsic value. Autodesk ReMake - How to Measure Distances & Adjust Scale using Dr. Valerio Rizzo's models. 1) Ensuring digital preservation of some of the rarest and oldest specimens of the archive, such as the 100 year old Acromegalic skeleton (one of the very few exemplar existing in whole world). 2) Starting to create a rare human pathology database, so far not available anywhere else on the Internet and spreading medical science awareness on rare pathological conditions and, for instance, improving pre-surgery training for rare human pathologies. 3) Giving medical students and professionals around the globe the chance to have access to and explore these rare specimens of the museum, which are currently inaccessible to public as it requires funding for restoration. 4) Building up a captivating visual story that could tell the story of the museum, showing the valuable specimens included in the archive in order to attract experts and philanthropists from around the world that could help us to restore the museum so it can be opened back again to public. 8) What else is coming up or in the pipeline? What should we look forward to from your research? Nowadays, as everybody knows, the VR / AR field is having huge success and evolving at a breakneck speed. This area has been found to be intimately tied to capture reality techniques. In this regard, I have just started an extremely interesting professional adventure with the brilliant guys at Realities.io to create large high resolution 3D environments for immersive VR experience by using photogrammetry. In parallel, my collaborators of the 3DTAM research unit and I are working on other projects concerning the neurophysiological correlates of virtual immersive experiences. I would like to say some more about this latter as it is a very exciting project but at this point of the research I cannot disclose any further detail. Did you miss our Photogrammetry Basics webinar with Engineering.com? Here's your chance to check it out! What potential pitfalls to look out for when using photogrammetry. Elmer Bol is the director of the ReMake Product Group, Autodesk. His team of product/program managers and engineers define appropriate business models, product architecture and go-to-market strategies, as well as building key industry partnerships. He has previously held positions at Autodesk in product management and market development. Before joining Autodesk, he was co-founder and CEO of Alice Labs B.V. and held several positions with IBM. His key interests lie in building and growing new business divisions and making them commercially successful in innovative, up-and-coming areas. Dennis Martin is a CG Supervisor and Applications Engineer for Autodesk. Dennis has been the CG lead on several reality capture projects for Autodesk such as the President Obama 3D capture and 3D print, the Apollo 11 command module reconstruction, and he directs and produces product videos for ReMake, ReCap, among others. Before joining Autodesk, Dennis was a visual effects artist and CG supervisor for over 15 years. Dennis is known for his expertise in creating photo based virtual environments for films such as the Matrix trilogy, Mission Impossible 3 (2012), and the Avengers to name a few. Before his film career, Dennis was one of the original employees at Cyra Technologies – one of the first long range Lidar hardware/software companies. UK startup Candy Mechanics is introducing the first 3D consumable product that can be created directly from any smartphone and tablet – it's your own head made in chocolate. Aptly named Lolpops, this fun product brings 3D scanning and product personalization to a mass audience. The creation process is straightforward. Following simple photogrammetry tricks using your smartphone or tablet (and a friend to hold the device), customers take a video of their head that is then rendered as a 3D model using Autodesk ReMake. Woah, wait. A video? Yes! Candy Mechanics suggests that a user takes a 30-40 second video and then a program pulls 100 stills from that video to feed into ReMake. Why this method? The answer: It is much much quicker to take a video and the resulting images are high quality. Win Win. Once a user approves the 3D version of themselves, this is carved into the Lolpop using the company’s Candy Carve - a customized CNC mill. The end result; a perfectly formed (and delicious) chocolate version of your head. As a food tech startup, Candy Mechanics brings together new technology, engineering and traditional chocolate making techniques to create wonderfully unique candy products. In collaboration with Autodesk and their Forge Developer platform, Candy Mechanics has been able to develop a process that puts the 3D capture technology from Autodesk Remake in the hands of anyone who owns a smartphone or tablet. Co-founder Sam Part has this to say about ReMake, Forge, and entrepreneurship, “Without ReMake we wouldn't be able to scale our business. This has allowed us to introduce our Lolpop product to a mass audience, to anyone owning a smartphone or tablet. The ability to create 3D files from a mobile device at the quality we have achieved using the Forge API is quite incredible. I'm super excited to be one of the first to market with a customized 3D consumable made using your smart phone. The technology is fantastic but the success lies in how flexible the product is. The team at Autodesk have been very helpful in responding to our needs and have helped us develop and refine our own process. This means we are able to achieve the optimum product possible from this technology right now. Founded by Sam Part and Ben Redford in 2015, the food tech startup collaborated with confectionery developer William Leigh, former chief taster at Green & Blacks, to produce their range of chocolate products. Developing the technology with engineer Chris Tait, the team have created a completely unique process to create incredible customized candy products. In their own words, ‘It's pretty rad’. ReMake is proud to be part of the extraordinary undertaking to scan and document war memorials at Pearl Harbor: the USS Arizona and USS Utah. This Wednesday, December 7, 2016 is the 75th anniversary of the attacks on Pearl Harbor. To mark the day, PBS has produced a remarkable documentary called "Inside the Arizona" that goes behind the scenes of the ongoing exploration and documentation of the USS Arizona with the National Park Service, Autodesk, veterans, and partners. "Pearl Harbor - Inside the Arizona" includes rare interviews with survivors who are now in their 80's and 90's. In one scene, Autodesk's Strategic Projects Executive Pete Kelsey presents the 3D modeled USS Arizona to survivor Don Stratton. What does Don say? In August 2016, the team returned to the Arizona with an important new tool in their kit: a special auto-coiling ROV. This will allow them to investigate the second and third decks for the first time. What they find inside is not only of historic significance, but an indication of the conditions in those rooms including the oxygen levels. This information could have an impact on the rate of degradation of the ship on a level-by-level basis. What do they find? You'll have to watch to find out! The USS Arizona modeled by ReMake. The data acquired from these dives is then fed into ReMake, which has created several models over the various missions. The ReMake models allow the National Park Service scientists to overlay one mission with another to determine the changes to the ship over time. "Autodesk ReMake is a vital part of the technical solution for the USS Arizona project. We went from SONAR and LiDAR data capture to Autodesk ReCap. Then to ReMake to prepare the data for 3D printing." says Autodesk's Strategic Projects Executive Pete Kelsey, " We set out to create a baseline dataset that future surveys could be measured against forever. We did that and now, thanks to ReMake and an additional survey we did in August of 2016 we can compare the 2014 and 2016 meshes in ReMake and identify change. A huge bonus for the National Park Service who cares for this historic site." The ReMake team is honored to be part of this remarkable endeavor that has touched the lives of thousands, and aims to continue to be an educational, historical, and scientific tool for years to come. A 3D printed model of the USS Arizona can be viewed in the Autodesk Gallery in San Francisco. 1. Re-designing headphones can be done in 15 minutes. 2. It's possible to combine ReMake, ReCap 360, Stingray, Dynamo, UAVs, VR, AR, and more for a coherent and groundbreaking solution that blows your client's mind. 3. ReMake and Fusion 360 are like peanut butter and jelly: awesome on their own, even better together. 4. The BLK360 is kind of a big deal. 5. VR and Web GL can be your secret sales weapons. Download a trial of Autodesk ReMake for Windows. Going to Autodesk University (AU) in Las Vegas next week and want to learn all about the power of ReMake, Project Play, VR and WebGL? Check out our sessions and have your questions answered by our team of experts! From Reality to Design – ReMake and Fusion360! Make interactive multimedia product presentations, product configurators, instructions and sales pitches directly in a browser, without programming! What happens in Vegas, definitely doesn't stay in Vegas. Get the latest with our live updates on Twitter and streaming on Facebook Live. Download ReMake for Windows and Mac for free. Curious about photogrammetry but don't know how to get started? Check out this helpful cheat-sheet made by our awesome intern and ReMake-Fusion wunderkind Grant. Use this and videos like the one below by Tatjana and Dennis to kick start your photogrammetric adventures. Don't forget to enter Stage 1 of the the #DesignByCapture competition by November 7! Click here to learn more. Shalom’s infant son, Theo, has a limb difference - he was born with no right hand. The technical term is a congenital transradial amputation. Shalom - an Experience Designer at Autodesk’s Pier 9 Workshop - and his wife ultimately came to see that this offered an amazing opportunity to be of service, not only to their own son, but potentially also to the many people throughout the world who have upper limb differences. An opportunity to assemble a team to create the labor of love that is the The Luke Hand. Theo’s case is far from isolated. There are around two million people globally who have one or no hands, due either to congenital or traumatic amputations. Most currently available, affordable prosthetic or bionic devices are inadequate in terms of comfort, fluid control, and dexterity. On top of that, children with limb differences require updated prostheses more frequently due to their rapid growth. So, what's the Luke Hand? Inspired by the sci-fi story of Luke Skywalker's robotic hand (which replaced his severed hand in the Star Wars saga), a team of experts has assembled to create an open source bionic hand with the functionality of a human hand, designed for a four year old, within four years. The Luke Hand is also the name of the nonprofit organization that's been formed to design and build this device. What's the Luke Hand's mission? First, to create an open source bionic hand with the functionality of a human hand, within four years, sized for a four year-old. And then to scale up the project, to create the greatest positive impact for people with limb differences around the world. Why create the Luke Hand? To help people with hand amputations transition from disabled to superabled. Because it should already exist! The Luke Hand will be life-changing for people with hand amputations. Perplexingly, despite the high-tech era in which we live, technology remains sadly deficient in the field of prosthetics - so deficient, in fact, that a large percentage of people who have been fitted for prosthetic devices don't bother to wear them. Prosthetic hands that offer limited functionality have been available for thousands of years (read more). And modern fabrication methods such as 3D printing has made it easier than ever to create these devices. In terms of devices that offer high functionality, DARPA has developed a sophisticated bionic hand, as have companies like ottobock and several others - many of which you can see here - but no one has brought to market an affordable bionic hand for children that matches the functionality of a human hand. Perhaps no one believes that there would be enough profit in this venture. Therefore, The Luke Hand is taking a radically different approach. What's the Luke Hand's plan? Our plan is to develop a bionic hand free of the requirement to create profit. To do this, we plan to have our R&D costs paid for by charitable donors and foundations. We will stretch these dollars as far as possible and maximize the project’s brainpower by hosting global hackathons and guided development programs at universities throughout the world. Not needing to recoup our R&D costs from the price of the device, the cost of The Luke Hand will simply be the price of materials, labor, shipping, and tax. By open sourcing all of our IP, we will enable people from around the globe to both contribute to its design and benefit from its development. Phase 1 entails creating The Luke Hand for Theo when he’s four years old, publishing and refining our IP on open source repositories throughout the process of development. Phase 2 entails scaling up the business and creating larger models that fit older children, teens, and adults, so that anyone who needs a Luke Hand can have one, at the lowest possible cost. Who are you, and how are you going to do this? I have the good fortune of being an Experience Designer at one of the world's leading industrial-strength creative workshops for design & fabrication - Autodesk Pier 9. My wife is an expressive arts teacher with a deep knowledge of somatics. Obviously, this mission is far too vast for me to accomplish alone. The only way to create The Luke Hand is through skillful teamwork. Fortunately, many of my colleagues at Autodesk are cutting-edge robotics experts, mechanical CAD engineers, software and firmware developers, fellow XD’s, 3D printing gurus, and more. And my greater professional community includes bionics engineers, prosthetics experts, industrial designers, electrical engineers, lawyers, doctors. And I'm delighted to say that people from all these fields have volunteered to team up and help the cause. The first major step forward for The Luke Hand was to assemble a dream team of advisors. The first person to become an advisor was the former lead engineer of DARPA’s Revolutionizing Prosthetics 2009 bionic arm, Dr. Adam Arabian of Seattle Pacific University. Having already built the world’s most advanced bionic hand, his addition to the team was a huge boost for our project. The director of Autodesk’s Applied Research Lab, Maurice Conti, also became an advisor (read about the innovations in robotics happening at this lab). 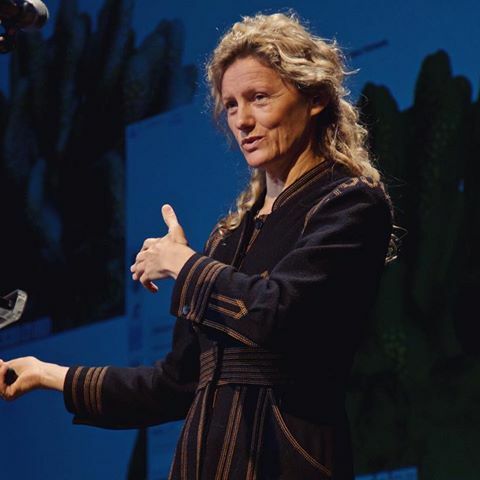 Plus Lynelle Cameron, the CEO of Autodesk Foundation, which supports the design and creation of innovative solutions to the world’s most pressing challenges. Plus Scott Summit, a leading Industrial Designer who has helped lead the effort to create Beautiful Artificial Limbs. Plus Andreas Bastian, the Technical Director of e-NABLE, which creates low-cost 3D printed prosthetic limbs for people with limb differences, and who happens to be my teammate on Autodesk’s Integrated Additive Manufacturing team. 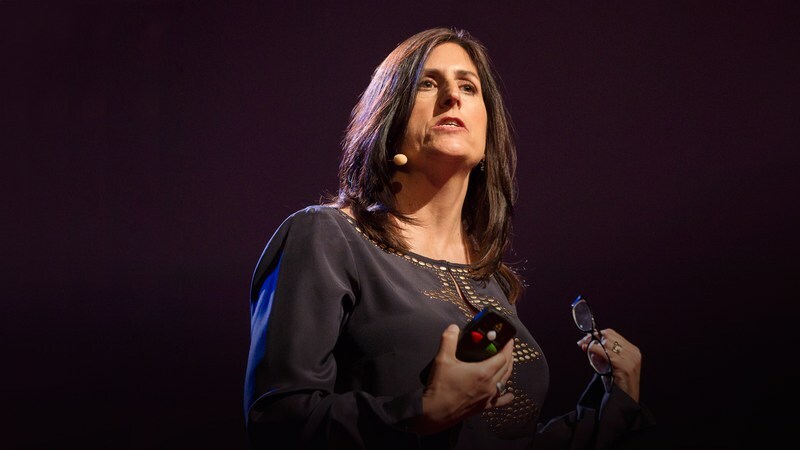 Plus Maria Guidice, Autodesk’s VP of Experience Design. 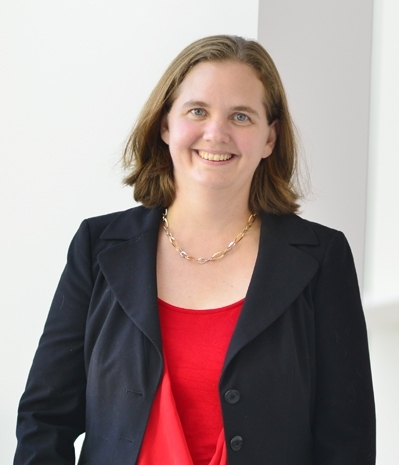 Plus Teg Grenager, an entrepreneur who served as VP of Product at a successful tech company in Silicon Valley. You’re called yourself a “power user, fan, advocate” of ReMake! Talk about the tools you’re using with the Luke Hand project and how? I’m a fan and advocate of ReMake because it makes it the process of creating incredibly detailed 3D meshes super simple. My job at Autodesk involves working with 3D meshes and 3D printing, and I’ve never gotten tired of it. If I’m a ReMake power user, that’s because I use it so much. Actually, using ReMake’s photogrammetry tools is something I love to do while I’m traveling on vacation. My wife, Theo, and I recently visited her hometown of Darmstadt, Germany, and while we were there, I shot numerous photo arrays that I fed into ReMake to create many beautiful 3D models. Several of these models can be viewed on my ReMake Gallery. Talk about the tools you’re using with the Luke Hand project and how? I fed these photos into ReMake, and got a beautiful base mesh for The Luke Hand in return, which serves as the form factor reference. [Although we’re making this for Theo when he’s four, the hand will be the size of a five year old’s hand, which will give him room to grow into it. The socket of The Luke Hand will be designed so that it can comfortably conform to his residual limb when he’s four years old.] I’m so grateful to have powerful and indispensable tools, such as ReMake, so easily accessible, which help simplify and streamline the process of a task that’s as ambitious and complicated as creating a bionic hand. You made a great video for the Autodesk Global Hackathon about the use of VR in bionics. Why is VR important to bionics and specifically to the Luke Hand project? What’s in the pipeline for Luke Hand? The Luke Hand is about to launch a guided development program at Seattle Pacific University, where Adam Arabian teaches. This program will run for half a year, and will focus on developing the needed mechanical components, the muscles, as it were, for The Luke Hand’s brain. We’re also planning additional hackathons and guided development programs. And we’ve been invited to present the results of our VR Bionics work to a team at Stanford University that’s focused on VR and computer science. Finally, once we complete our 503c(3) registration (which is currently in progress), The Luke Hand will apply to Autodesk Foundation and other philanthropic foundations for funding. Sounds great. How can I help? In this awesome two stage competition, MyMiniFactory, Autodesk ReMake, and Autodesk Fusion 360 want you to showcase just how powerful reality capture by photogrammetry can be. What’s the #DesignByCapture competition? Simple. Take an object that you use for your favorite hobby or sport and, using 3D capture and Autodesk ReMake and Fusion, customize it to best suit your needs. You could create a custom mount for your camera or a pedal for your bike. Maybe you are a DJ or Gamer looking to customize your headphones. The sky is the limit! In Stage 1 of the Design By Capture competition, you’ll capture your object and process it using Autodesk ReMake (download a free version here). In Stage 2, you’ll use Autodesk Fusion 360 to modify the design and optimize it for 3D printing (download a free version here). Finally, submit your entry on the MyMiniFactory website for a chance to win! Yes, there are prizes! The overall winner of the Design By Capture competition will receive a new HTC Vive headset. The winner of Stage 1 of the competition gets an Oculus Rift. There will be a final giveaway of an Autodesk ReMake and Fusion swag bag that is open to all participants. The competition jury is made up of experts on Fusion, ReMake, and 3D printing. Entries will be judged on the originality of the concept, its functionality, the quality of entry execution, and design-specific criteria such as weight and design life cycle thinking. Step 1: Select an object you use for your hobby / sport that you think could be improved through ergonomics, performance, or customization. Step 3: Process or fix any holes and optimize it for 3D printing. Step 4: Submit it by uploading the STL and OBJ file (remember to add a description of the object, its function and what you are looking to improve) to the MyMiniFactory website. In the 2nd stage of the competition, we want you to improve your object using Autodesk® Fusion 360. This second stage is all about improvements. Just select an object from ReMake’s gallery of captures and improve it as you see fit. Ok so you've got a great idea and you're all in? 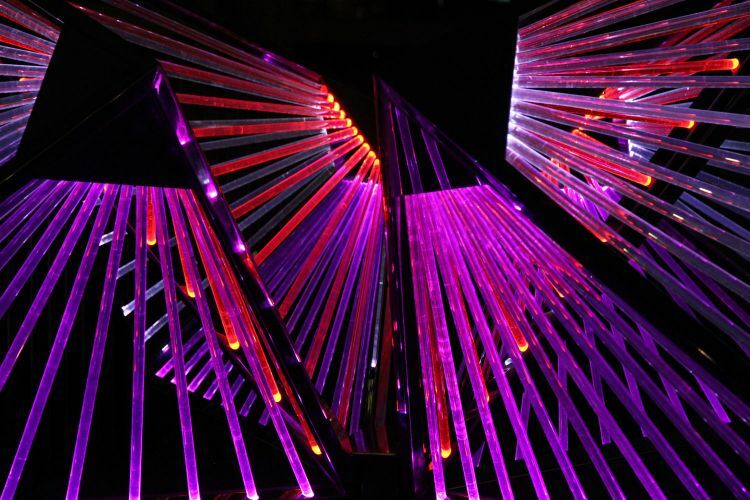 Great, here's what you’ll need to do to enter Stage 2 of the Design By Capture competition. Step 1: Select an object you use for your hobby or sport that you think could be improved through ergonomics, performance or customization. Step 2: Improve its design in Autodesk’s Fusion 360 - You can download a free trial here. Step 3: Process or fix any holes and optimize for 3D printing. · Stage 1 (Capture) of the competition runs from Friday, October 21 to Monday, November 7, 2016 at 18:00/6:00PM BST. · Stage 2 (Design) is from Friday November 11 to Friday December 2, 2016 at 18:00/6:00PM BST. · The winners will be announced on Friday December 16, 2016. Good luck and get designing! Dave Clarke describes himself as a “designer, tinkerer, easily obsessed fan of coffee”. His playful sensibility is evident a mile away. 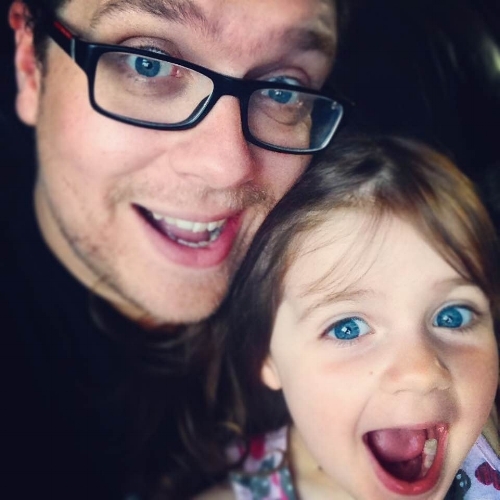 His inventions include “Professor Pint” for nights at the pub, a Star Wars-inspired Holocron Jedi lamp, and a sensible remote braking system for kids’ bikes. We noticed Dave on Twitter when he showed off the turntable that he created to use photogrammetry with Autodesk ReMake. On top of that, he kept it all in the family and used Autodesk Fusion to design it. His enthusiasm for 3D designing and making helped his iStrat Internet Radio Guitar win first place in Hackster.io’s “Give your hardware a home” competition. Here we talk to Dave about his passion for making and how he comes up with his spirited creations. Tell me about the turntable. What inspired you to create it? The inspiration came from a simple desire to create easy consistent 3D geometry, I wanted to remove human error and wobble! I was also aware that it should be kept simple. So I designed it to be almost completely mechanical. 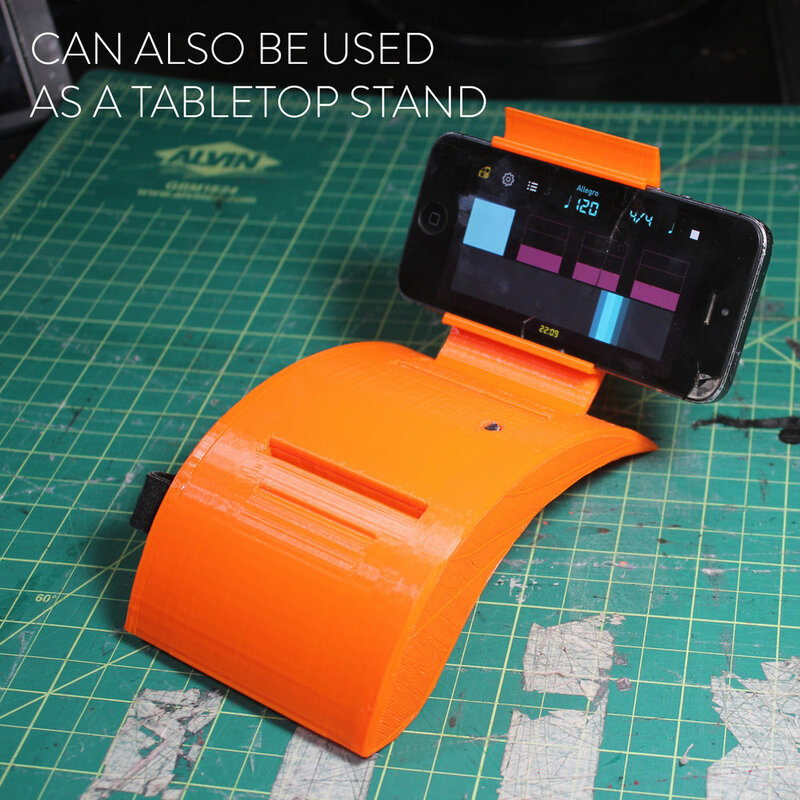 All you need is your smart phone (in my case an iPhone 6 plus) the included headphones and a turntable printed out. The way it works is this: You turn the crank, and for every complete revolution of the turntable the phones camera is triggered by the headphone volume 50 times. Simple! Transfer the pics to your computer then use ReMake to work its magic. How have you used it so far? So far I’ve been experimenting mainly, and mass producing small versions of my daughter’s cuddly toys. Winning favour with your children can be a very useful thing! 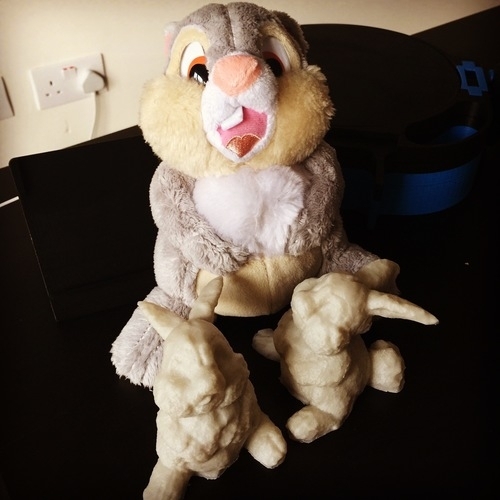 I was amazed how good Thumper came out! And as you’d expect from rabbits, they have bred and now we have a house full! Why do you like ReMake? How can you not like ReMake?! It’s amazing, not only does it create a mesh so well, it also gives you the tools to tweak that mesh, repair holes, flatten it, prepare it for 3D printing or even prepare it as a 3D asset for gaming or visualisation! Amazing! Simply amazing! How were you introduced to ReMake? To Fusion 360? I first used ReMake when it was in beta as Memento, I think I happened upon it on the Autodesk Main website and it instantly appealed to me. The thought of taking photos to 3D model seemed like magic! And frankly it still feels like magic now, you clever lot you! You’re an Autodesk aficionado! Which other products do you use and how? How do you plan to use ReMake in your work? Currently I’m using it as a hobbyist, but my plan is to create 3D environments of our office space to use as 3D assets in the visualisations I do for products using 3DS MAX and V-Ray. Ancient statue found on the Antikythera wreck modeled with Autodesk ReMake. Dr. Brendan Foley is the guy who lives out many of our childhood dreams: he hunts ancient shipwrecks. As a research scientist in the Deep Submergence Laboratory at the Woods Hole Oceanographic Institution (WHOI) in Massachusetts, Foley has collaborated on dives throughout the Mediterranean and Black Seas over twenty years. He unearths Bronze Age statues of Greek gods, ancient swords and shields, and surveys the ocean floor using a jumble of technology. This plethora of tech is what helped Foley and his team reveal countless artifacts from the famous Antikythera Shipwreck – home of the even-more-famous Antikythera Mechanism. You know, the mysterious ancient computer that has yet to be fully deciphered. Just this month, Foley and his team made news when they uncovered human bones that may lead to the genetic sequencing of a 1 B.C. shipwreck victim. Foley accomplishes this using robotics and advanced sensors that allow him and his team to adapt deep submergence technologies for their own research. Existing Remotely Operated Vehicles (ROVs) and Autonomous Underwater Vehicles (AUVs) allow archaeologists to survey the sea floor to depths of 6000 meters. This brings 98% of the world’s ocean floor within reach. Mapping the wreck site with underwater sensors, they uncovered a panoply of treasures that would make even the most ostentatious ancient merchant jealous: gold jewelry, glassware, perfume bottles and medicine bottles among others. You’ve had some exciting new finds with the Antikythera Shipwreck. What is it like unearthing history? On any dive, we have the chance to find something that hasn't been seen in 2000 years, figure out what it is (if it isn't immediately apparent), and then share it digitally with the whole world in glorious high-definition 3D. Our field team literally gets to unearth the artifacts. But the best part is that we then talk with the world's experts in various fields to help us investigate the objects. For instance, physicists help us with isotopic analysis, art historians interpret the sculpture pieces, microbiologists reveal DNA, and on and on. So we learn something new pretty much every day. It's a combination of a thrilling hunt, being in a good detective story, and every day feeling like Christmas morning. Talk about the synergies among the different technologies that are employed during your dives. How do they work together, and what would you like to add to your “toolkit”? On our dives we employ advanced technical diving technology (closed-circuit rebreathers with mixed breathing gases of oxygen/helium/nitrogen, and several computers to monitor life support), 4K video cameras and HD still cameras, custom-built metal detectors, a specially-designed submersible dredge, autonomous robots for mapping, Remotely Operated Vehicles for diver observation/safety/site investigation, iPads in underwater housings so we can interact with our Geographic Information System, and on occasion even the Exosuit Atmospheric Diving System. All of this kit extends our capabilities, increases safety, and allows us to collect enormous accurate data sets. One tool we would love to have in the future is acoustic tomography (something like CT scanning or ultrasound) so we can get a clear picture of the artifacts lying under the sediments. Another thing we're working on is a drone excavator, capable of removing sediment and overburden from the wreck site. If it works as imagined, the dive team will be able to spend our precious bottom time excavating artifacts instead of digging through sand and shell hash to reach the artifacts. How were you introduced to Autodesk ReMake? During the e.g. Conference three years ago, I sat at dinner with Maurice Conti and Jeff Kowalski. I described some of what we were doing on the Antikythera Shipwreck, and Jeff told me about Reality Capture (ReCap). While we were eating dessert, he demonstrated by instantly making a 3D model of the sugar packets on the table. I was blown away. After that, my team started using ReCap to model artifacts from the wreck (both underwater before recovery, and in air after recovery). A year or so later, Jonathan Knowles introduced Tatjana Dzambazova to me, while she and I were giving talks at the Computer History Museum in Mountain View. She showed the latest modeling results with ReMake, and we started using that package for all sorts of 3D modeling of archaeological artifacts and ancient sculptures. Now that ReMake is here, we've shifted to it and are delighted with the results. How do you see these artifacts being used for further research and education? The great thing is that we can release these artifacts into the world digitally, and then anyone can decide what to do with them. It's open-ended, so creativity can reign. In our narrow expert worldview, we can share the artifacts with our colleagues and discuss fine points of scientific and archaeological research. But school teachers and children, artists and poets, anyone can take inspiration from the objects. If enough people see them, then the results ought to be beyond my imagination. How do you use ReMake in your work? What are its advantages? With ReMake we can fully and accurately document the necessary changes in the recovered artifacts: from in situ on the shipwreck, then after recovery while still encrusted, and then finally when the artifact is conserved and ready for display in the museum. ReMake gives us the power to share the shipwreck artifacts immediately around the world, without touching them. The first models we posted online were of table jugs recovered from the Antikythera Shipwreck. Within minutes of the posting, archaeologists from Korea, Australia, Italy, Greece, and the USA messaged us with questions and information. ReMake promises new areas of research. For instance, we are now modeling the badly eroded marble sculptures from the Antikythera Shipwreck. By comparing those against models of other ancient sculptures, we may be able to identify the damaged Antikythera artwork. You have been capturing many of the artifacts in the Ny Carlsberg Glyptotek Museum in Copenhagen, Denmark for digitization. Is this related to the Antikythera wreck in any way? I have been creating 3D models of Greek and Roman sculptures in the Ny Carlsberg Glyptotek in Copenhagen, and the project is related to Antikythera. The shipwreck contained 36 marble sculptures and probably eight or ten bronze statues. But they were all badly damaged and eroded by 2000 years underwater. Many of the marble sculptures are unrecognizable, with the features and details dissolved away. However, their basic forms (pose and proportions) can be compared to surviving ancient sculptures, in the hope of identifying the Antikythera works. This is possible because ancient sculptures were made in series, and copied through time and across cultures. An original 5th century BC bronze masterpiece of a god or hero may no longer exist, but a 2nd century B.C. Hellenistic marble copy or a 4th century A.D. Roman copy may preserve the design. My project, 3D Antiquity, uses ReMake to accurately and precisely model as many surviving sculptures and plaster casts of them as possible (perhaps as many as 10,000). We can then compare the Antikythera sculptures against the models, and find matches. And we'll make the entire encyclopedia of sculptures freely available on-line, so everyone can enjoy the statues. Tell me about your work with the Glyptotek museum. What’s in the pipeline? As 3D Antiquity has progressed, the curators at Glyptotek have started to request 3D models of other artifacts in their collection. Next week I will model a terracotta object for them. In Greece, I am working with the director of the Numismatic Museum to 3D model metal ingots recovered from a Bronze Age shipwreck. These copper or bronze ingots are very rare, known only from a few shipwrecks. We can compare the ingots' shape, size, and appearance easily with the 3D models, and we're also performing metallurgical and isotopic analysis so we can pinpoint the elements in the ingots and the geographic source of the metal. I have permission from a growing number of museums and sculpture collections to continue 3D Antiquity, so the total number of accessible statues and copies is over 2,000. Now I have to design and build a camera array so we can reduce image collection to about 10 minutes per sculpture. With several arrays, we will be able to 3D model an entire museum collection in a week or two. As the encyclopedia grows, it will be possible to directly compare similar sculptures. For example, I recently modeled a life-sized statue at Glyptotek of the "Wounded Amazon". The Met in New York holds another copy of the sculpture. I don't think they've ever been in the same room together, but now we can compare the two works of art (and other extant copies of this statue residing elsewhere) directly with the models. Both statues are incomplete and both have been restored over the centuries. It would be very interesting to compare their original parts, and begin to develop an accurate representation of the original sculpture. We would also like to model parts of sculptures (isolated feet, arms, heads) sitting in museums and storerooms, and try to match them up with their associated partners. ReMake allows us not only to compare models to each other, but also to take accurate measurement of them. The possibilities for archaeology are enormous- we'll be able to compare artifacts around the world without ever having to move them. We also must build imaging lightboxes to hold archaeological artifacts of different sizes and shapes so we can rapidly and accurately model them. Ultimately, I would like to have 3D models of every artifact we recover from the Antikythera Shipwreck, and every wreck we discover in the future. To learn more about Dr. Brendan Foley’s work with Archaeology and Technology in the Deep Sea at the Woods Hole Oceanographic Institute visit http://www.whoi.edu/sbl/liteSite.do?litesiteid=2740. Learn more about the Antikythera Shipwreck project here http://antikythera.whoi.edu/. Autodesk ReMake is available for both Mac and Windows. Download a free trial at www.remake.autodesk.com.